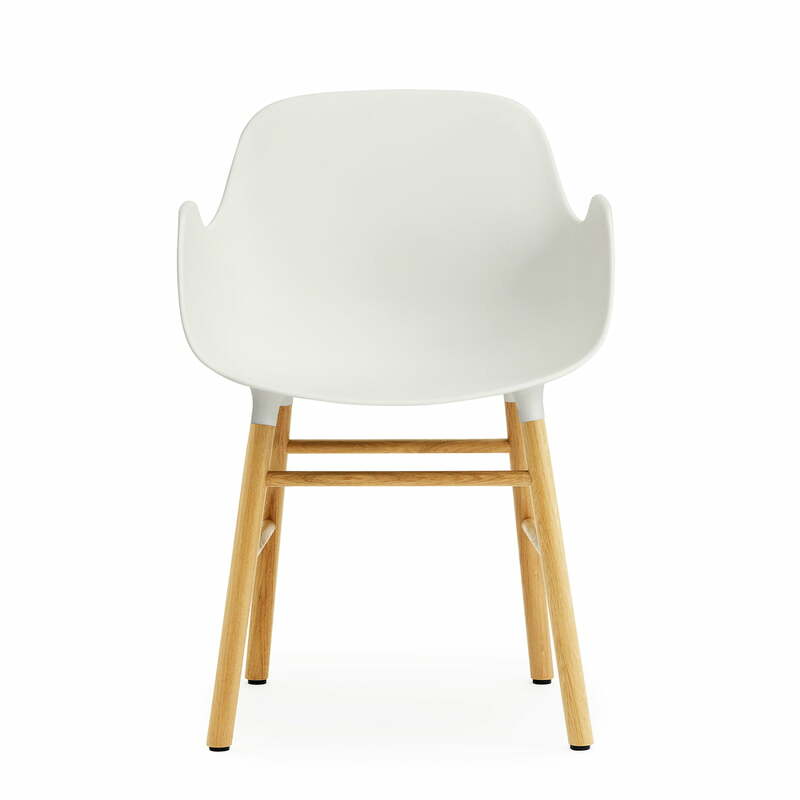 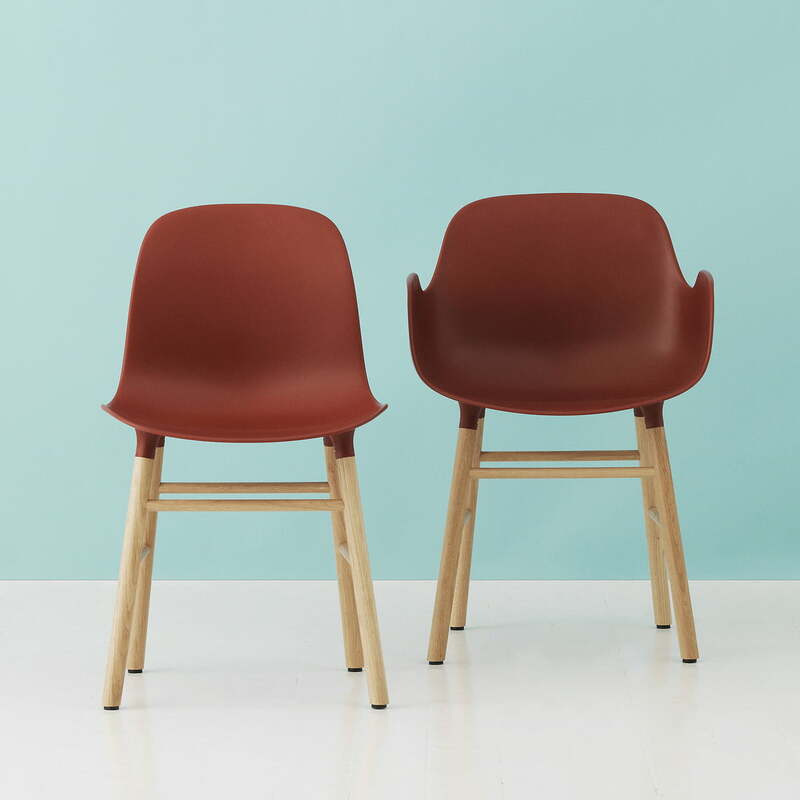 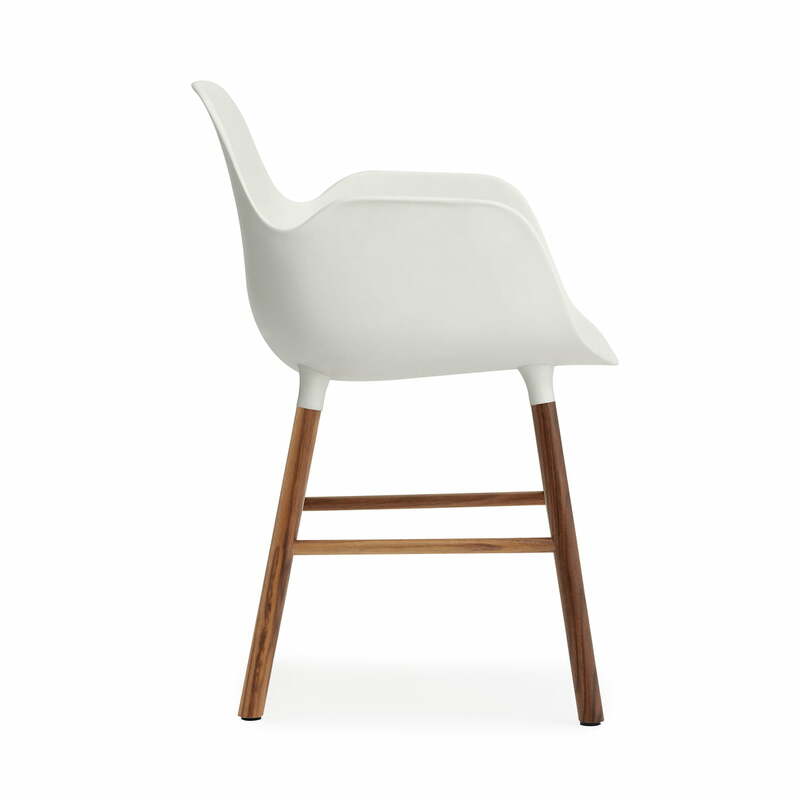 With the Form Armchair Wooden Legs, Normann Copenhagen presents a chair whose classic yet modern design is suitable for all kinds of purposes. 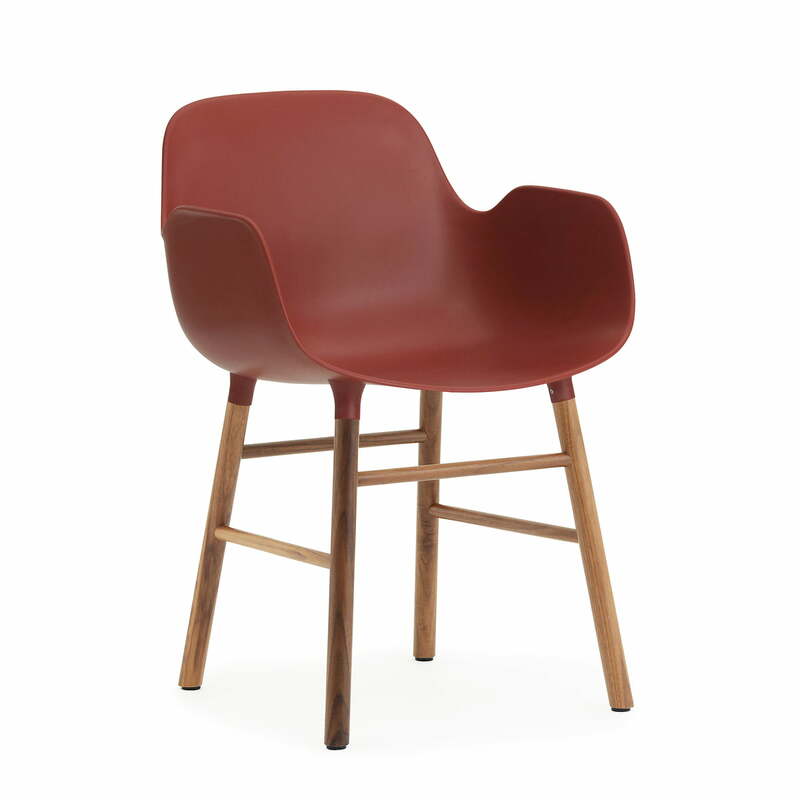 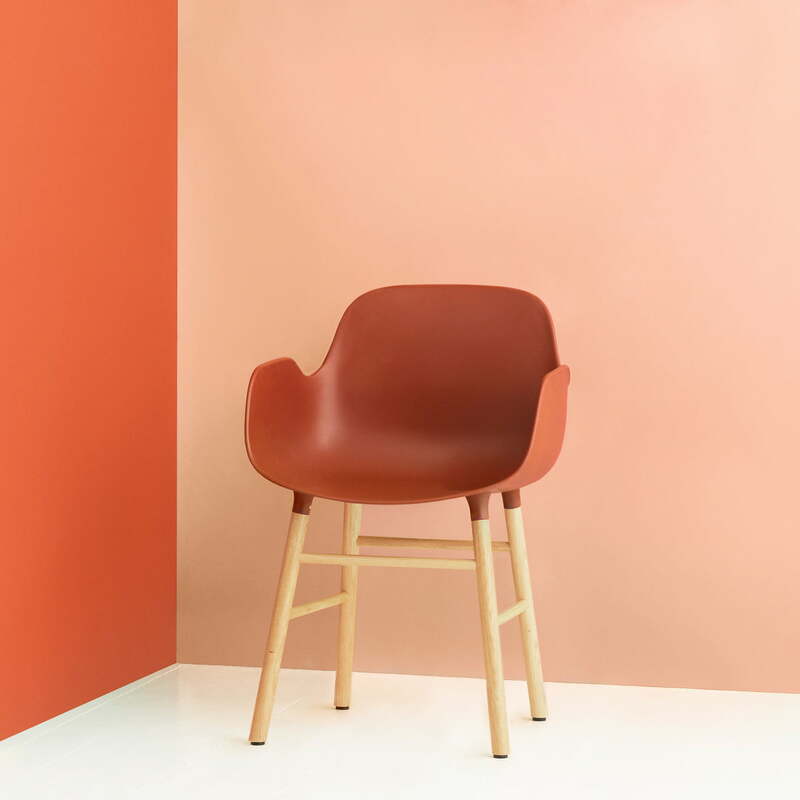 Simon Legald designed the Form Armchair for Normann Copenhagen with the aim of creating a shell chair with a unique design. 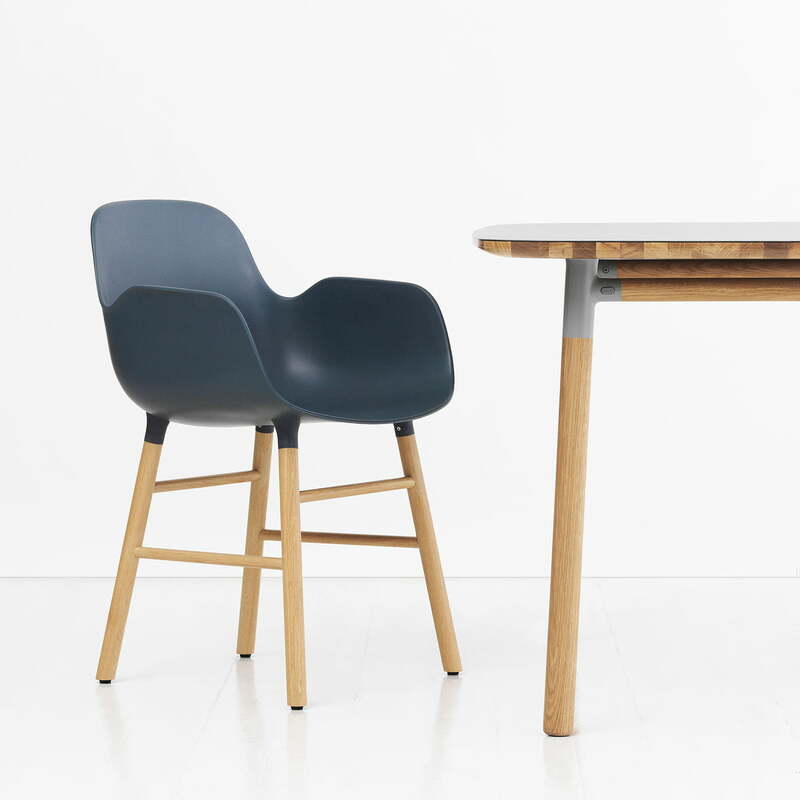 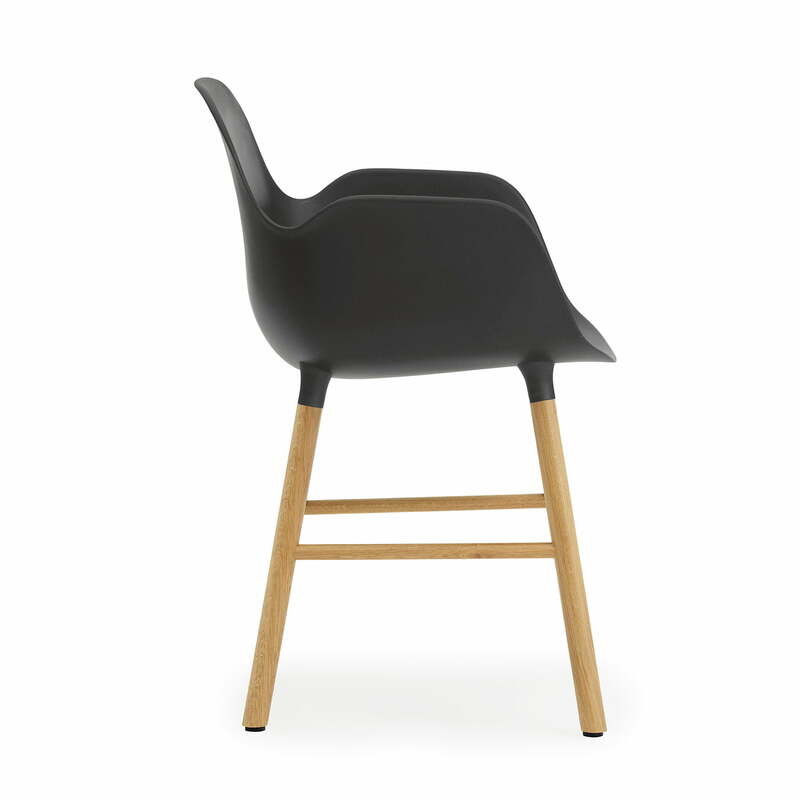 Legald created the seamless appearance by creating new methods to connect the wooden legs with the seat shell: The seat has push-in connections into which the legs are inserted. 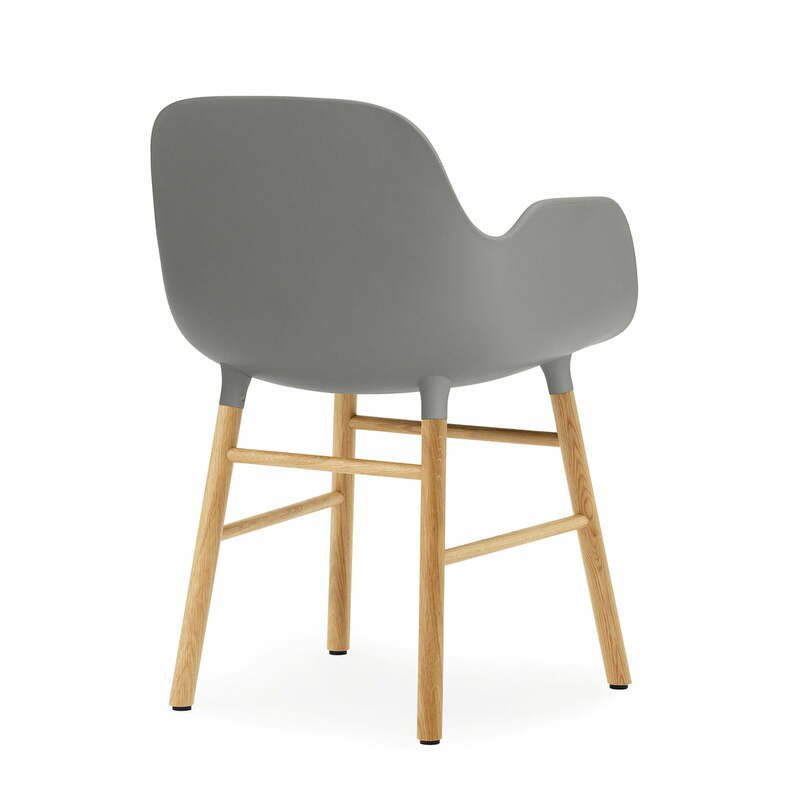 This creates an appearance with soft transitions and no hard edges – the legs almost seem as if they are “growing” out of the chair. 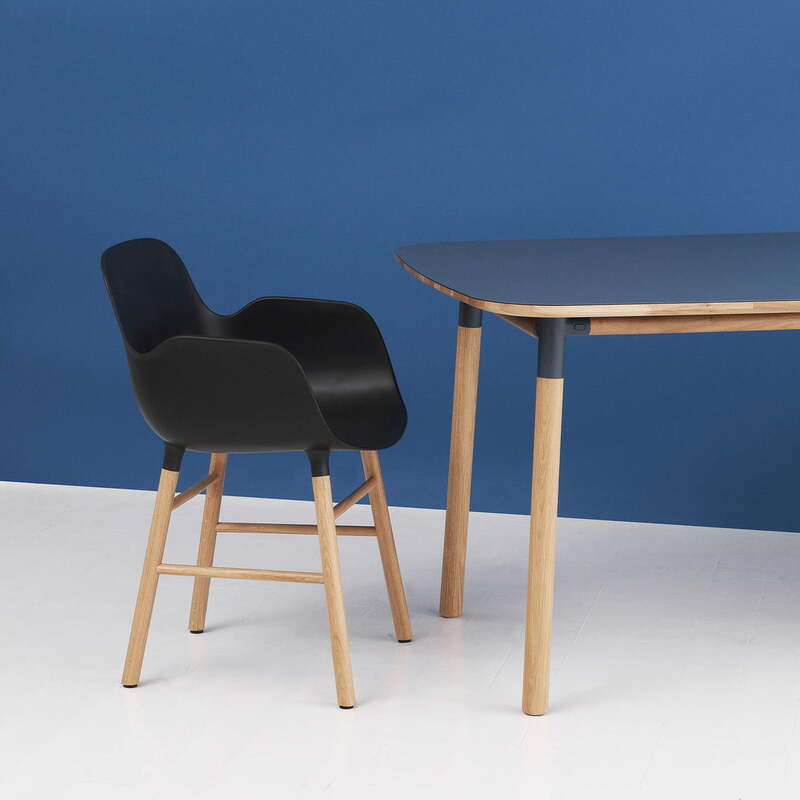 The Form Armchair Wooden Legs is a modern chair with a wooden base and armrests, which fits into all kinds of interiors with its minimalistic expression. 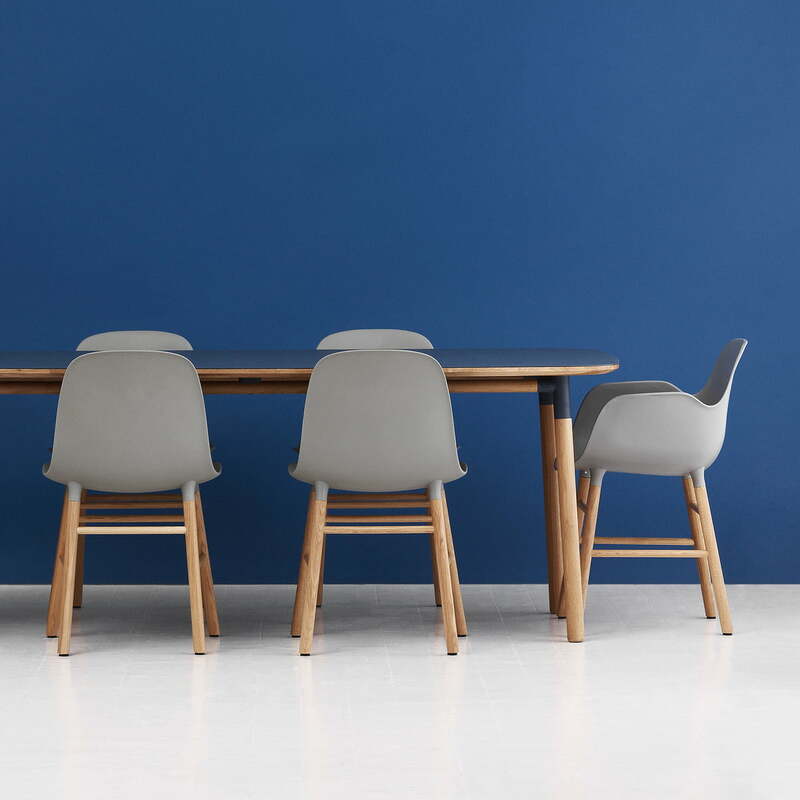 The contemporary design of the armchair with wooden legs provides an inviting and familiar look, which not only fits wonderfully into the living and dining area, but also for offices and conference rooms. 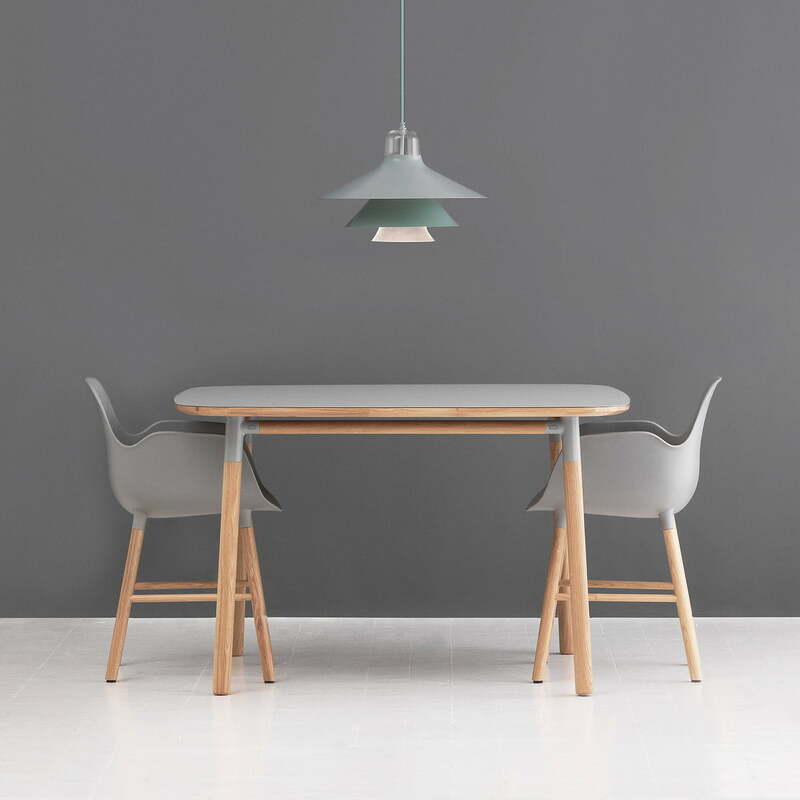 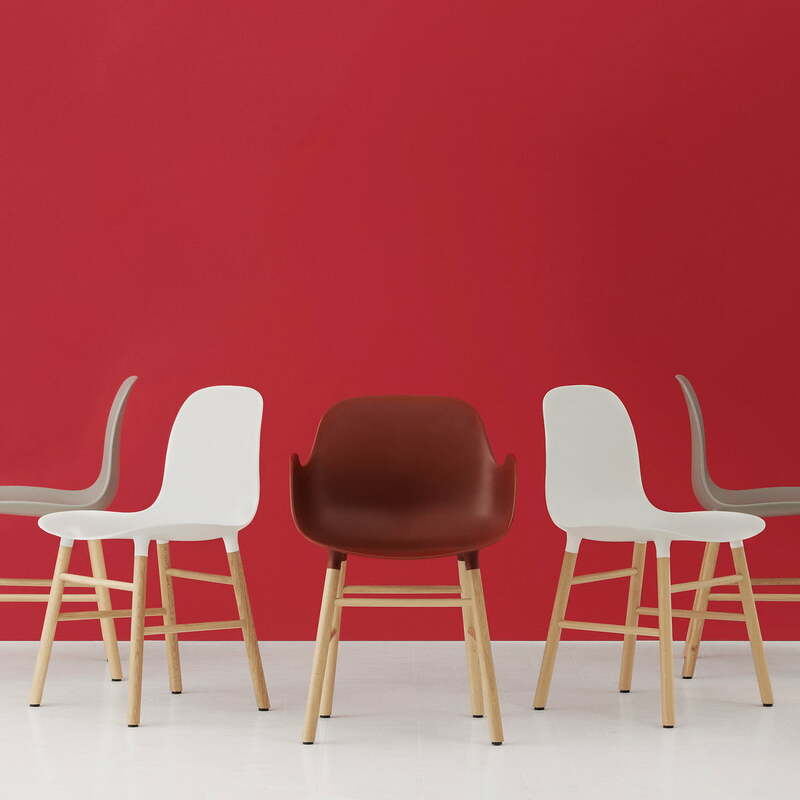 With the shape of its seat shell, the Normann Copenhagen Form Armchair provides good back support and complete mobility while the armrests offer additional comfort. The strong materials as well as the contoured seat provide the chair with a soft and minimalist design for comfort and stability. 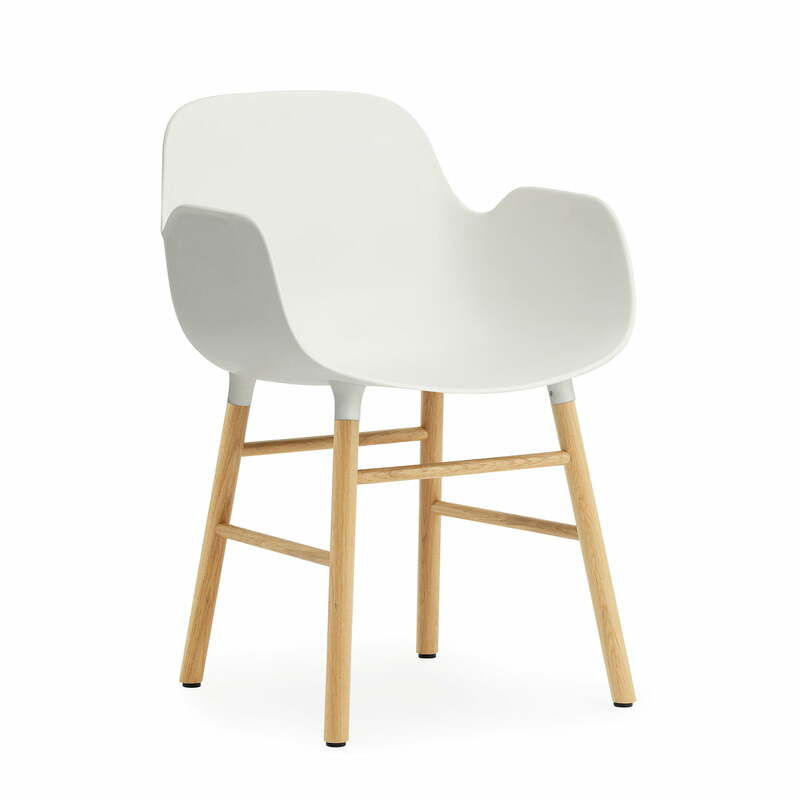 The Form Armchair by Normann Copenhagen is available made of different types of wood and it adapts individually to every interior for a harmonic image. 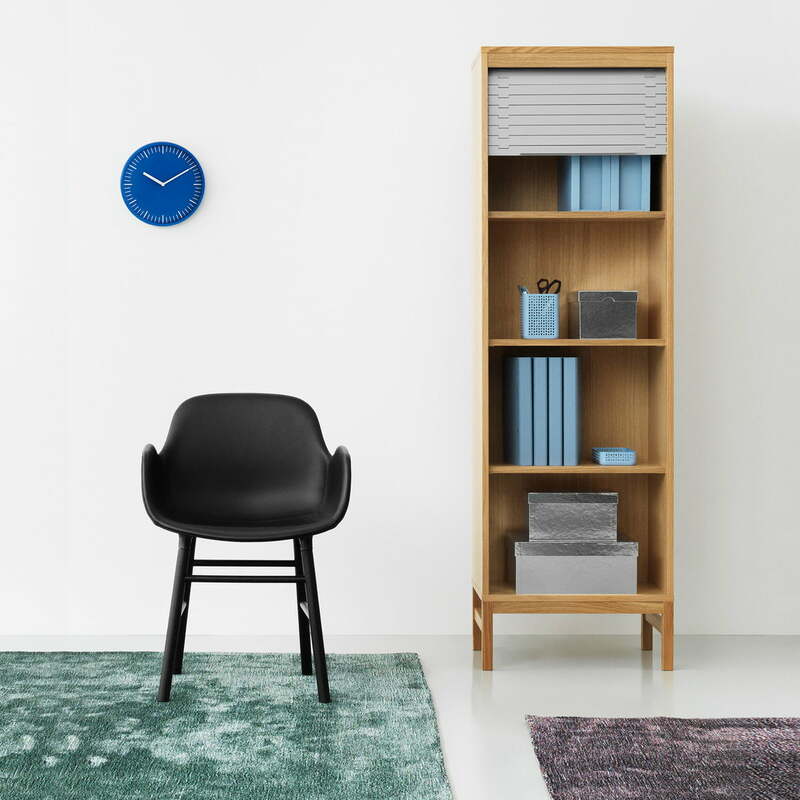 Lifestyle product image: The Confetti rug, the high Jalousi cupboard and the Form armchair (wood) were all designed by Simon Legald for Normann Copenhagen.